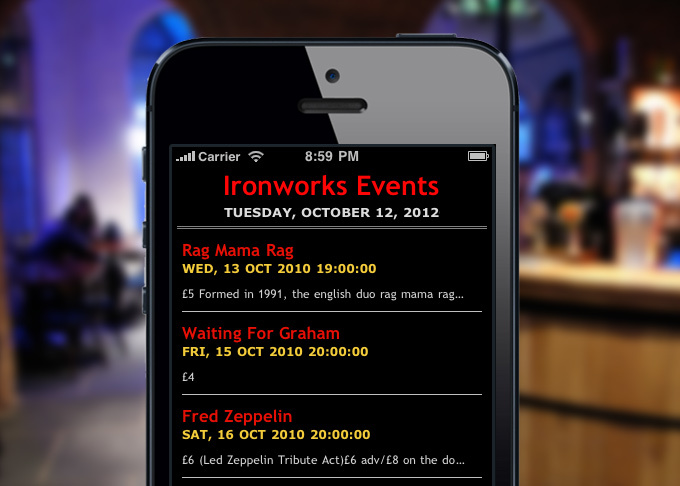 Alongside the development of The Ironwork's website I decided to create a web app for iPhone to display a feed of the latest events. The app can be added to the home screen to quickly access events on the move. The app uses the events RSS feed from the main website, and displays the content in a mobile friendly way. This means that the app is automatically kept up to date when the main website is. UPDATE: The business has since been sold and the web app taken offline.